Subscription products aren’t new. “X-of-the-month club” services have been around for a long time. Retailers sold wine, CDs, books, and food long before the popularity of online shopping. But over the past few years, subscription eCommerce has exploded in popularity. 15 percent of online shoppers have subscribed to an eCommerce service over the past year and 46 percent of respondents subscribed to a digital service (Netflix, Spotify, etc.). The subscription eCommerce economy has grown by 100 percent or more year-over-year for the past several years. In 2011, it was worth $57 million. In 2016, it was worth $2.6 billion. Tien Tzuo, CEO and founder of Zuora, a subscription billing app, says the future economy is a subscription economy. Of course, Tzuo has a vested interest in pushing the subscription model. But the subscription economy is undeniably growing. Consumer insights firm Hitwise found that traffic to subscription boxes grew nine-fold from 2014 to 2018 (PDF). So, is adding a subscription option right for you store? Why offer a subscription product? 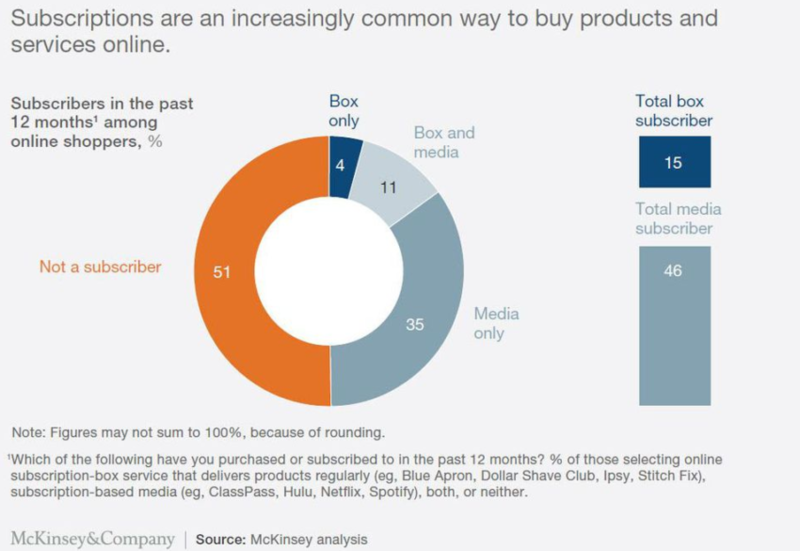 Existing eCommerce stores operating with a traditional sales model are actually in a better position to offer a subscription product than new subscription companies trying to launch from scratch. You probably already have some cash flow and most of the infrastructure to offer a box in place. This means you have the luxury of treating your subscription product like a marathon, rather than a sprint. You don’t need 10,000 subscribers next week before you run out of runway. You can scale up at a reasonable pace, so you have time to get your process and inventory management right. Most importantly, you also already have a customer base to market your subscription product to. They already trust you (because they’ve purchased from you before) and they’re already receptive to your marketing. They help cement brand loyalty by increasing the number of successful interactions your customers have with your business. They give you a new revenue stream. 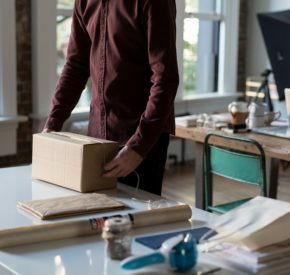 Offering a new model desk chair may not entice your customers to buy more furniture, but a subscription service for office supplies may convince them to spend more money at your store. They improve you cashflow because your customers pay upfront, long before you have to deliver the product. Brick-and-mortar retailers are also trying their hand at subscription eCommerce. Read our profile of coffee shop Blue Bottle Coffee, which added a subscription option and created a predictable revenue stream that allowed them to scale other parts of their business. What kinds of subscription products should you sell? Naturally, the best subscription products are ones your customers need to purchase regularly. Choose to sell a subscription product that aligns with your customers’ values. For instance, a coffee retailer with customers who like to try new things might sell a monthly mystery subscription featuring a new roast in each box. But a coffee retailer with customers who don’t want to run out of coffee may let the customer choose their preferred bean and roast. We can’t tell you exactly what to sell, but we can give you some criteria. Consumable or disposable products make great options for the subscription eCommerce model. So do products that regularly wear out with use and need to be replaced. If you already send customers replenishment emails, you probably know how effective they are for getting customers to reorder. A subscription option simply automates that reorder process for customers. Consider products that your customers will consume, use up, or wear out, like pet food, paper products, batteries, active wear, cleaning products, foods, and drinks. Also consider products that aren’t technically destroyed, but people only use one time or for a short duration, like party decorations, children’s toys, kitchen gadgets, or greeting cards. Furthermore, consider things people typically want to change frequently, like clothing, shoes, ties, music, accessories, phone cases, etc. These are items people often want to replace so they can explore new styles and trends, or show off a different part of their personality. Bana Bean is a great example of the latter. How many bows, clips, and headbands does a kid actually need? Probably not more than a couple, but parents are willing to buy more so their kids can regularly have something new and fun to wear. Once you choose a product to sell via subscription, you’ll need a tool to manage sales and inventory. Doing it by hand is simple when you only have a handful of customers, but it quickly becomes unmanageable as you scale and add subscribers. Billing, for instance, can get complex, especially if you offer product variations like the ability for customers to choose what goes in their box or allow them to change shipping frequency. Thankfully, there are a number tools available built for this purpose. Shopify users should evaluate apps like Bold Subscriptions, ReCharge, and Charge Rabbit. WooCommerce users should check out WooCommerce Subscriptions (which integrates with Jilt), and YITH Subscription. There are also third-party platforms designed specifically for subscription eCommerce, like Lemonstand, Cratejoy, and Subbly. Before you start selling products via subscription in your store, bear in mind these best practices. Make sure the product you decide to sell via subscription makes sense in your store. Don’t start selling a product that your customers won’t buy just because it seems like a good fit for the subscription business. If your store sells home goods, don’t just tack on a coffee box because coffee is well-suited to the subscription model. Find something that works well with your existing business. Before you invest in a subscription product, talk to your customers about their needs and wants. Send surveys and conduct phone interviews. Most importantly, find out how your customers would use the subscription product. For instance, let’s say you want to offer a subscription service for pet toys. You’ll send two or three toys each month. That’s great for customers with pets who tend to chew or break their toys; however, if your customers don’t have destructive pets, they aren’t going to buy into the subscription. You might also want to test your subscription by offering it to your VIP customers first. If they like it, open your product to the rest of your customer base. Getting customers to commit to a subscription service can be understandably harder than selling them a one-off product. They want to see and hold the product first to decide if it’s worth their money on a recurring basis. Do you have a friend or loved one who’s tough to buy for? Everyone does. Subscription products and boxes have become popular gifts because they’re an easy way to give someone something thoughtful and useful without having to spend time really researching a product area. There’s no need to learn the intricacies of grilling just because your dad likes to BBQ, for example, just gift him a BBQ sauce subscription box. Dollar Shave Club does this well, even though their product is fairly mundane. 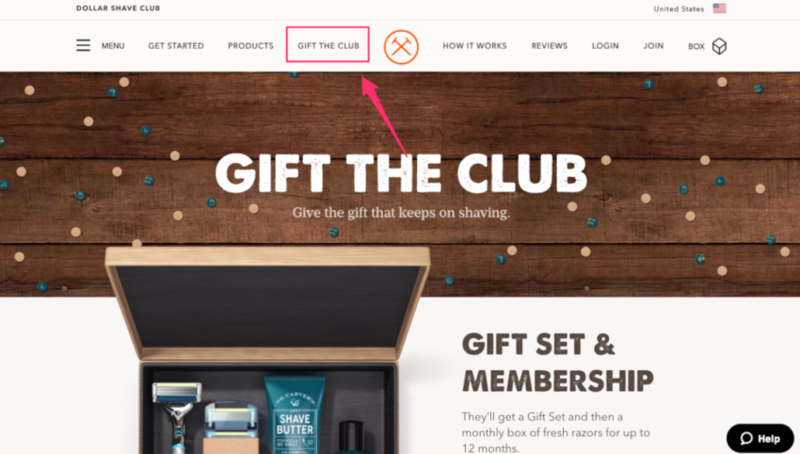 They have a dedicated page for customers to buy the subscription as a gift and do a good job of selling you on the idea that a commodity product like razors and shaving cream are a good gift. If you ship on the 15th, can customers get their product if they sign up on the 12th? If you bill on the 1st and ship on the 7th, can they get a refund if they cancel on the 4th? If a customer travels for a month, can they change their shipping address to get the package? Can they pause their subscription? If they don’t like an item in the box, can they return it or exchange it or do they have to send back the whole box? Do you allow substitutions? These are complex questions that you don’t deal with as a typical eCommerce retailer, but they become big issues when you get into subscription products. Pull out a calendar and create a plan for exactly when you’ll bill, ship, refund, prorate, cancel, etc. It’s becoming clear that eCommerce subscriptions are probably not a fad. 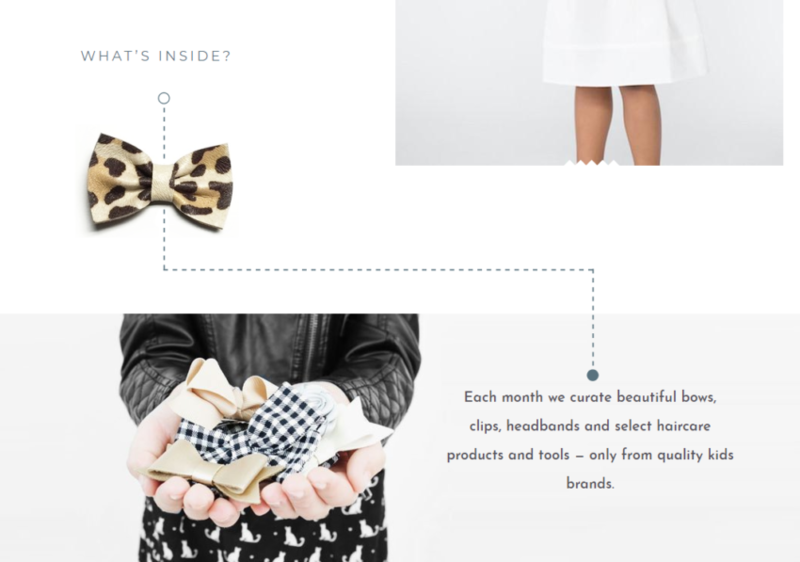 Is the subscription model right for your store? That’s something only you can answer, but given their popularity—especially among younger generations—it’s a good question to ask yourself. If your store sells consumable, disposable, or frequently swapped/upgraded products, a subscription offering might be a wise choice.